If you have already ordered CLICK HERE to find your Airwaybill/Tracking Number. We understand your need to make an educated decision about our product, and for this reason we have addressed many common product questions online. Please visit here for questions regarding the nature of the product and the product ingredients. Arwert LI, Deijen JB and Drent ML. Effects of an oral mixture containing glycine, glutamine and niacin on memory, GH and IGF-1 secretion in middle-aged and elderly subjects. Nutr. Neurosci. 2003 Oct;6(5):269-75. Biolo G, Tipton KD, Klein S and Wolfe RR. An abundant supply of amino acids enhances the metabolic effect of exercise on muscle protein. Am. J. Physiol. 1997 Jul;273(1 Pt 1):E122-9. Chen MM, Yeh JK and Aloia JF. Histologic evidence: growth hormone completely prevents reduction in cortical bone gain and partially prevents cancellous osteopenia in the tibia of hypophysectomized rats. The Anatomical Record (1997) 249:163-72. Chromiak JA and Antonio J. Use of amino acids as growth hormone-releasing agents by athletes. Nutritrion 2002 Jul-Aug;18(7-8):657-61. Cohn JS, Kamili A, Wat E, Chung RW and Tandy S. Reduction in intestinal cholesterol absorption by various food components: mechanisms and implications. Atheroscler. Suppl. 2010 Jun;11(1):45-8. Cuneo RC, Judd S, Wallace JD, Perry-Keen D, Burger H, Lim-Tio S, Strauss B, Stockigt J, Topliss D, Alford F, Hew L, Bode H, Conway A, Handelsman D, Dunn S, Boyages S, Cheung NW and Hurley D. The Australian multicenter trial of growth hormone (GH) treatment in GH-deficient adults. J. Clin. Endocrinol. Metab. 1998 83:107-16. Dillon EL, Sheffield-Moore M, Paddon-Jones D, Gilkison C, Sanford AP, Casperson SL, Jiang J, Chinkes DL and Urban RJ. Amino acid supplementation increases lean body mass, basal muscle protein synthesis and insulin-like growth factor-1 expression in older women. J. Clin. Endocinol. Metab. 2009 May;94(5):1630-7. Isidori A, Lo Monaco A and Cappa A. A study of growth hormone release in man after oral administration of amino acids. Curr. Med. Res.Opin. 1981;7(7):475-81. Oono S, Kurimoto T, Nakazawa T, Miyoshi T, Okamoto N, Kashimoto R, Tagami Y, Ito Y and Mimura O. Pyroglutamic acid promotes survival of retinal gangion cells after optic nerve injury. Curr. Eye Res. 2009 Jul;34(7):598-605. Rudman D, Feller AG, Cohn L, Shetty KR, Rudman IW and Draper MW. Effects of human growth hormone on body composition in elderly men. Horm. Res. 1991;36(Suppl 1):73-81. Rudman D, Feller AG, Nagraj HS, Gergans GA, Lalitha PY, Goldberg AF, Schlenker RA, Cohn L, Rudman IW and Mattson DE. Effects of human growth hormone in men over 60 years old. N. Eng. J. Med. 1990 Jul5;323(1):1-6. Sanclemente T, Marques-Lopes I, Puzo J and Garcia-Otin AL. Role of naturally-occuring plant sterols on intestinal cholesterol absorption and plasmatic levels. J. Physiol. Biochem. 2009 Mar;65(1):87-98. Savine R and Sonksen PH. 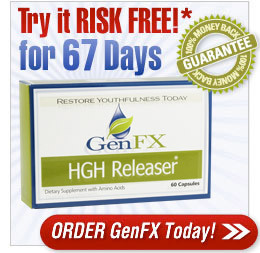 Is the somatopause an indication for growth hormone replacement? J. Endocrinol. Invest. 1999;22(5 Suppl):142-9. Zajac A, Poprzecki S, Zebrowska A Chalimoniuk M and Langfort J. Arginine and ornithine supplementation increases growth hormone and insulin-like growth factor-1 serum levels after heavy-resistance training in strength-trained athletes. J. Strength Cond. Res. 2010 Apr;24(4):1082-90. **When taking the survey, 58.53% of respondents had reached a decision. The remaining 41.46% said "don't know yet" so the figured are based solely on those who had made up their minds.